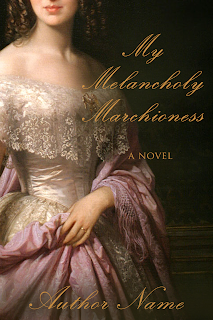 Historical Fiction Book Covers: An Interview with . . . Me! An Interview with . . . Me! I'm so very excited to be featured as a guest on author J.A. Coffey's blog today! It's the first time I've ever been interviewed! Here's an excerpt from the interview. Stop by and check out the full post featuring what I have to say about the book cover design process--and there's a special offer too! As promised, today’s blog features a Q&A with ebook cover artist Jennifer Quinlan. I’m so excited to feature her!! Since my undergrad degree is in art (and I try to write through that lens), I thought it might be fun for both readers and writers to see a “real” book cover artist in action. I love to lose myself in another world while reading, and so I rarely read contemporary novels. I want to be transported somewhere else—I get enough reality in real life! My first love is historical fiction, but I’m also hooked on historical romance, and I read some paranormal romance, some traditional fantasy and urban fantasy, some steampunk, and some young adult too. I’ll take on any cover project if I feel I’m up to the task, but because I spend so much time in my favorite genres, I feel more knowledgeable and comfortable designing those types of covers. Read the full interview on J.A. 's blog! EEE, so very cool! Heading over now!